[UPDATE] Just recently, Ed tweeted out a photo of a T-Shirt reading the move set back, forward, LK hinting Johnny Cages return for Mortal Kombat X. For those who don’t know that move set is the Shadow Kick for Johnny Cage from what I can remember from the top of my head. It is also Reptiles dash move, but remember…Reptile has already been confirmed not too long ago whereas Johnny has not, so it’s most likely Johnny Cage making a return. Here is the video explaining everything. Stay tuned for more on Mortal Kombat! Within the latest announcement of Mortal Kombat X’s Living Towers Mode, which adds unique gameplay modifiers, there are mods that take their names from Cyrax and Rain. More specifically, in these mods there are some elements taken from the characters. Cyrax’s bombs and Rain’s water bubbles. During the description of “Mournfull”, Kitana uses Jade’s spear and blade. Even though none of these details warrant that these characters are designed and ready to be in the game, it still remains a possibility. Confirmed characters so far are: Ermac, Reptile, Kitana, Kung Lao, Quan Chi, Cassie Cage, Raiden, Kotal Kahn, Scorpion, Goro, Ferra/Torro, D’Vorah, Sub-Zero, Liu Kang, Noob Saibot, Mileena, Bo Rai Cho. 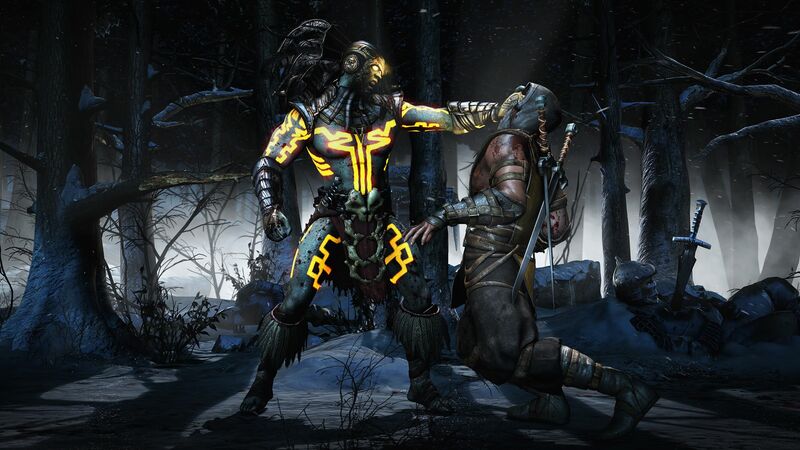 Mortal kombat X will see the addition of two new modes that add MMO elements to the fighting genre. These are Living Towers and Faction War. Living Towers is a version of Tower Challenges of 2011’s Mortal Kombat. Each tower will have a specific mod which will feature special challenges beyond those of a normal match. Some examples are “Dark Kombat” during which the image darkens forcing players to fight in the dark and “Juggle Kombat”, a low gravity mod that enables juggle combos to last longer. Additionally there are Daily and Premier towers that will last between 1-7 days, and each will offer specific rewards when completed. This way there will be a continuous circle of challenges and rewards. Living Towers keeps replay value alive for the game, but unfortunately it’s an always-online mode. This is a little disappointing as it diminishes the single player experience. Although most players play online multiplayer and the addition of these modes will further enhance the multiplayer aspect of the game. Faction Wars is a continuous battle of supremacy between different factions. Players join one of five available factions, and everything they do, in both single player and multiplayer earns points for their faction. The different factions are competing to get the most points each week.This will satisfy both team players and competitive players. NetherRealm hope this competition will help foster both brotherhoods and rivalries between players and deepen the gameplay experience. Factions offer rewards like their own special fatalities as well, something that will be incredibly interesting and motivating. 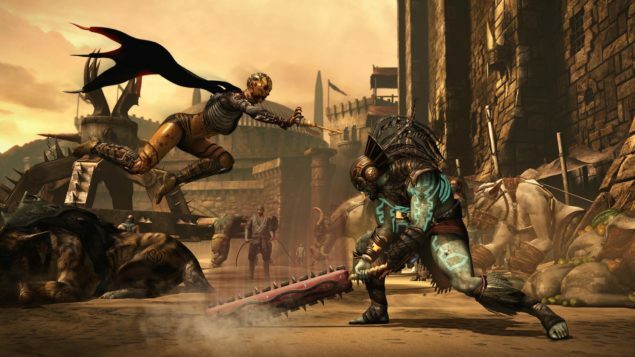 Everything seems to suggest that Mortal Kombat X will continue the NetherRealm tradition of providing plenty of additional content beyond the normal fighting mode and from has been shown so far the game seems to run better than any other Mortal Kombat before it. Stay tuned for more news leading up to the game’s release, on April 14 2015.